Dr. Batterton is from a small town in north eastern Massachusetts. 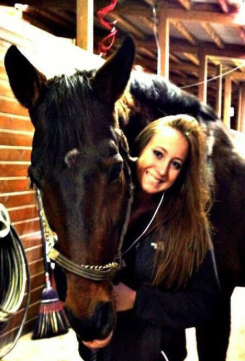 She grew up riding and working at a hunter-jumper stable where her passion for equine veterinary medicine began.She received her bachelor degrees in Biology and Biomedical Sciences at Colorado State University where she then continued on to receive her DVM degree in 2018. While in Colorado she worked for several years as a veterinary assistant which cultivated her particular love for lameness and sports medicine. In her spare time she enjoys riding, hiking, and exploring the Hudson Valley.